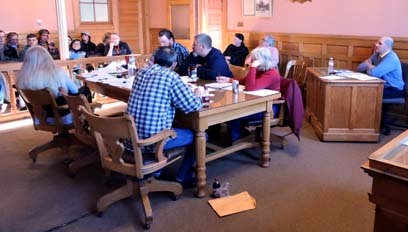 Graham Jaehnig/Daily Mining Gazette Keweenaw County Road Commission engineer Gregg Patrick discussed upcoming paving projects for the summer, which include Gratiot Lake access and Lac La Belle Road. MOHAWK — The Keweenaw County Road Commission has several projects on the agenda for the coming summer, according to engineer Gregg Patrick. Projects include some receiving federal funding, as well as county road millage funds. 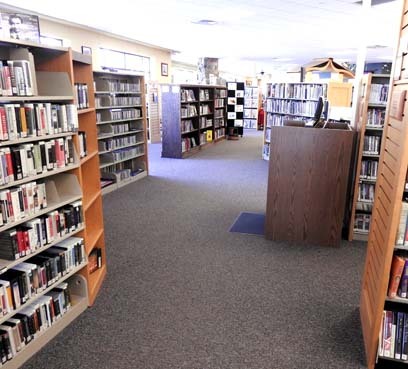 For those projects that are federally funded and receive supplemental funds, the focus this summer will be in Lac La Belle area. Patrick said 1.4 miles of the hill toward U.S. 41 will be paved, along with a mile down the Bete Gris Road, and just over two miles down the Gay-Lac La Belle Road. Those projects were bid out in December, Patrick said. Due to a decrease in road funding over the years, Keweenaw County residents in August 2014 approved a ballot proposal of 2 mills to provide additional road funding of $270,000 for five years. The funds were would be used to improve the county roads which had fallen into disrepair due to the inadequate funding levels over several decades. A committee decided the millage money would be split with $200,000 allocated for local roads. The remaining $70,000 was intended for primary roads. This summer, funding from the millage will be used to pave the Sand Point Road in the Lac La Belle area, and the Gratiot Lake Access Road, said Patrick.